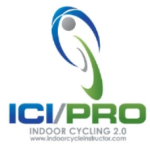 ICO/PRO is the world’s top resource for indoor cycling instructors. Their website (indoorcycleinstructor.com) provides a wealth of advice and help for thousands of indoor cycling enthusiasts, as well as cycling studio owners and health and fitness club managers. John Macgowan hosts the Indoor Cycle Instructor podcast, an internet radio show that’s listened to by fitness professionals around the world. Since music plays such a big part in their training classes, John kindly asked me if I’d be a guest on his podcast to tell his listeners a little more about Spotify. Thanks John for having me on the show: I hope your listeners enjoy my ramblings!